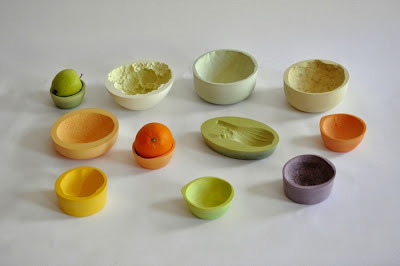 Mischer Traxler's "Reversed Volumes" captures the imprint of a fruit/vegetable and shapes a new bowl. 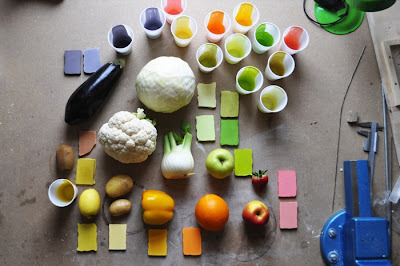 The space between a vessel and a fruit/vegetable is filled with ceramics. 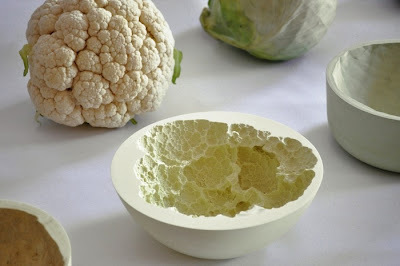 After the original organic material is taken away, the bowl preserves the actual imprint. 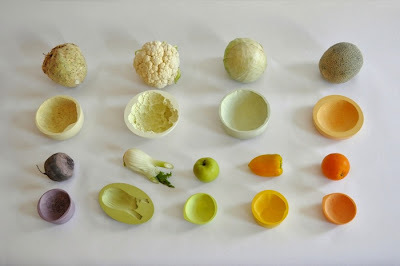 Each bowl is as unique as the actual fruit/vegetable.